Blogger Brian Hehn is the director of The Center for Congregational Song. For someone graduating high school who wants to serve as a music minister or worship leader, what would you recommend that they do for their education? Let me first say that I don’t think there’s a single program out there that will fully prepare someone to successfully navigate being a church musician in the 21st century. What music ministers are being expected to do over the course of their careers in the 21st century church compared to what the current academy offers reveals a huge gap. Broadly speaking, universities and seminaries continue to train musicians in a 20th century model when the church has already moved on. Congregations have new, higher, and more diverse expectations of those they hire than ever before. First, attend an undergraduate school as a music education major or a music performance major. Regardless of your future ministry settings, a knowledge of how to manage large groups (“classroom management” and “group dynamics”) and the skills to teach and empower the musicianship of others will certainly be at the core of your responsibilities. A music education degree is the best route to gain and refine those core skills. The other important skill your degree can give you is to become highly skilled at your instrument, which is where a performance degree might come in handy. Being a good performer (whether instrumental or choral) will serve you well in various ways, including understanding the powerful nature of musical performances to stir the human soul. While doing your degree, make sure you are active in ministry in some way. Depending on your situation, that may look different. Campus ministry opportunities, “church hopping” to experience a broad diversity of worship styles and leadership, or joining a local congregation and/or taking an internship at a local church can all be ways to begin the journey into ministry. Second, attend a seminary with an emphasis in worship and/or sacred music. Make sure the program you attend is intentional in connecting theological training with music-making in worship. Too often our university and seminary systems attempt to isolate or silo students into particular disciplines. This will rarely serve a 21st century music minister well. When touring programs and speaking with program directors, ask them how many courses are shared with MDiv or other theology majors. Ask them what types of interactions the sacred/church music students have with the students who will eventually be pastors. Sit in on a church music course. Do they talk about theology and worship as much as they do musical practice? 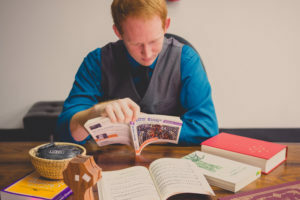 Finally, does the advanced degree program give emphasis or opportunities for you to experience a variety of instrumentations, worship styles, and genres? Wonderful suggestions. I’ve been in full time music ministry for 25 years and this is perfect. All of these are great suggestions. I would add that a Music Therapy degree is also a good choice for ones Bachelors degree. A graduate degree in Worship Studies is a phenomenal additional field of study allowing one to further one’s knowledge in theological, biblical, liturgical worship. This is a great post! My only addendums would be…..have a backup plan, or diversify your skill set, which is something you alluded to a bit about the growth for organists outside of the organ….which I agree wholeheartedly with! And I know you were diving in more on the education part of it all, but the other piece of advice I’d give to someone is to realize that it’s not about you and your likes and dislikes! Good and helpful article. Well thought out theologically, musically, spiritually and practically. Watch too for articles from Nate Myrick 😊 ( new church music prof at Mercer University (Townsend School of Music) Macon, GA.